Range or Stove - What's the Best Fit for Your Kitchen? Results from recently released Freddie Macs Primary Mortgage Market Survey. How much should I keep in emergency savings? Answers to this and other questions when considering your savings options. Learn how to overcome negative emotions so that you can persevere through lifes challenges. Learn which projects to work on first to get you the best ROI in the long run whether you're selling your home or staying. A simple answer for buyers interested in purchasing a condo and a list of things to consider before you buy. An explanation of the Mortgage Bankers Association (MBA) Builder Application Survey data for 2015 regarding February increases and what that means for the market. Home owners require ample storage space especially in the master closet. Here are some tips to upgrade your master closet to fit your needs. Tips for home owners to adequately maintain their washer and dryer and extend their use for years to come. With this past Thursday’s court decision, the two entities are now just weeks away from being completely separated from one another. The question remains, however, how will all of this affect the industry and consumers? A list of things homeowners should look for when searching for qualified tree care companies. Half of new U.S. companies fail in their first five years, according to Gallup. Expand the timeframe out to 10 years and the failure rate reaches 70 percent. From the money mavens at Kiplinger’s, check out this list of freebies available now. What Kind of Home Insurance is the best choice for my home? confused about Home Insurance? Here are some of the facts you need to know before making your decision. Buying a home is a major life decision. Follow these suggestions from American Consumer Credit Counseling. Potential homebuyers first look at your home is often online. These tips will help you get the best online curb appeal. Remodeling your bathroom is a big undertaking. Keep your project on budget by avoid these common bathroom remodeling mistakes. Kiplinger has released its annual list of the 10 cheapest places where retirees might want to live. These cities have the best benefits for retirees. Keith Loria explains all about lockboxes and whether or not having one can help you sell your home faster? According to the American Society of Landscape Architects (ASLA), low-maintenance landscaping outranks native plantings, water features and food/vegetable gardens among homeowners. Ask the Expert: What Type of Video Best Attracts Buyers? There’s a lot of talk regarding video in every industry, including real estate. Why? Because it works. Which formmat is best for you? Follow this simple guide for choosing the right contractor for your home remodeling project. A quick answer with some helpful tips to help you get your credit straightened out. Moving to a new home can be life-changing. But how do you know you’re really ready to move? Watch for these classic signs. Making your new house feel like home can help alleviate some of this stress and provide some much needed relaxation. Everyone has a different sense of what home is, says Elizabeth Lindmier of The Art Institute of Colorado. Tips from global property website Lamudi will help sellers find the right real estate agent to match their needs - and get their property sold. Without home buying experience, it can be difficult to separate fact from fiction. Get the facts on the most common first-time home buying myths. Over the decades, more and more conveniences, habits, and gadgets have found their way into our everyday lives. And gradually we’ve accepted them as normal, even necessary. The listing, or asking, price is what the seller would like to receive for the home, it is not necessarily what the seller will settle for. U.S. Supreme Court ruled that borrowers looking to rescind their mortgages simply need to notify creditors in writing of their intention to rescind within three years under a key fair lending law. The Orange County crib once owned by Walker Texas Ranger himself is currently on the market for $3.5 million. Have You Prepared Your Power Outage Plan? Experts at Duke Energy urge homeowners to establish a power outage plan now that can be implemented if disaster strikes. Holograms: The Next Big Thing in Real Estate Marketing? Real estate developer Extell tapped holography pioneer Musion to generate holograms showcasing the condo’s interior, amenities and surrounding waterfront neighborhood. A bathroom should be an oasis, and the environment that it displays directly correlates with just how relaxing it is. Half of home heating equipment fires are reported during the months of December, January and February. FAA approves Arizona real estate petition to fly a drone for real estate videography. New report shows homebuyers willing to pay more for a property with owned solar photovoltaic systems (PV), regardless of home type or market. As of 2014, more than half a million homes in the U.S. are outfitted with (PV) systems. It looks like housing will continue to excel into the new year, due to the rise in job creation and declining mortgage rates. Do you have bills, receipts and other tax documents ‘filed’ haphazardly in a shoebox? Some tax preparers may escalate their fees if you aren’t reasonably prepared. Female CEOs tend to unconsciously start sabotaging their success just as they’re growing into greatness. Identity theft is the fastest growing crime in America,every minute, 19 identities are stolen. A comparison betweeen remodeling cost vs. value, report some projects add more value and better recoup their costs than other home projects. Ask the Expert: What Are the Best Ways to Dominate My Local Market? Six tactics that brokers and agents can use to connect with consumers and boost their niche marketing. Afraid to Admit That You Don't Understand Social Media? If your house is on the market this holiday season, you may notice a slowdown in foot traffic among prospective buyers as holiday parties—and other activities—clutter their calendar. While homeownership is a dream realized for most, it’s no surprise that the desire for wish fulfillment remains long after closing. Castle-in-the-sky features may seem like a priority, but amenities that fall too far outside the norm will cost you. Single agent or team? This question has been asked by agents, brokers and owners of companies, and depending on whom you ask, you’ll get a different answer. In the real estate world, there is often a choice for every decision. For potential buyers, that means anything from home size to style and renovation ideas. Like all business leaders, you know that your organization’s survival and success depend on maintaining a competitive advantage. Household Expenses: Do You Have FORO? A recent National Foundation for Credit Counseling® (NFCC) poll reveals that the overwhelming majority of consumers surveyed (92 percent) have a fear of running out of money, or FORO. Whether dealing with a new plan or a renewal of an existing plan, there are many factors patients should consider before taking action, including deductibles, co-pays and drug costs. What would be better than a holiday gift of lower mortgage payments - or the peace of mind of knowing your underwater mortgage comes with more affordable payments? The U.S. Environmental Protection Agency (EPA) reports that the average American family uses 300 gallons of water each day for everything from brushing their teeth and washing clothes to running the sprinkler and flushing the toilet. As a REALTOR®, you’re constantly looking for ways to connect to new clients. Whether you’re planning to sell your home, or you simply want a more updated look, there are any number of cheap, simple fixes, from new paint to new curtains, that will improve its overall appearance. Whether you’re in the process of selling your home or not, pests can be a real nuisance. But when a home sale is on the line, the last thing you want to do is give buyers any reason to scurry. When preparing your home for sale, attracting the attention of prospective buyers is the key to success. As we close in on 2015, you most likely have a running list of resolutions racing around your mind at any given time. Whether designing new construction or renovating, choosing the right exterior color and complementary accent shades is critical to creating curb appeal. Fireside season is upon us. Its that time of the year when the glow of a fire provides warmth to a room and a cozy backdrop for sharing special moments with friends and family. For those who are interested in making a profit after buying a property, flipping houses is a common practice that works to improve and update a structure before selling your home for a higher value. Top executives from many of the world’s leading real estate firms joined a panel discussion recently about the impact of new technology on commercial and residential real estate markets. Consumers use technology to do just about everything, including looking for and buying a home. When a legal issue or tax problem arises during a real estate transaction, REALTORS® are required to point their clients in the direction of a lawyer or competent CPA. When investing in countertops for your kitchen, you should first consider how much cooking -- and what type of cooking -- you’ll be doing. The U.S. Department of Housing and Urban Development (HUD) and the U.S. Census Bureau recently announced the following new residential construction statistics for October 2014. In terms of growth in business ownership, women have been soaring past men, averaging increases 1.5 times the national average, according to the 2014 State of Women-Owned Businesses Report by American Express Open. When it comes to looking for that dream home, prospective buyers are pulling out all the stops, questioning any and everything. I recently became acquainted with Lisa Kaplan Gordon, a builder of luxury homes in McLean, VA. She has published a wonderful guide to help evaluate whether homeowners can refresh certain areas or furnishings with a new coat of paint. Later this week, after several years of back-and-forth debate, U.S. regulators are finally set to finalize a more relaxed set of mortgage standards. How much do you spend on utilities? Are you looking for ways to save? The second quarter GDP figures were highly encouraging, assuring that job creation continues. After a modest decline last month, existing-home sales bounced back in September to their highest annual pace of the year, according to the National Association of Realtors®. While homebuyers seek ample kitchen counter space when searching for a home, surface area tends to fill up quickly as homeowners settle in to their new digs. Preparing your home for its market debut can seem overwhelming, but making repairs or taking care of anything cosmetic that needs to be fixed is an important piece of the puzzle. Lot vs. Land - Where Should You Build Your Dream Home? With all that goes into constructing a new house, building a dream home is not for the faint of heart. 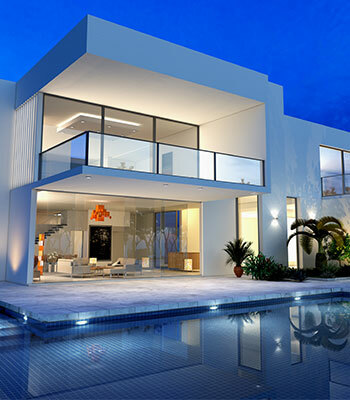 Undoubtedly, one of your biggest considerations will be whether to build on a developed or undeveloped plot. October is Energy Awareness Month, so I went looking for specific ways homeowners could reduce soaring energy bills. Current trends in household lifestyles, such as first-time home buying or empty nesting, have left people with smaller spaces. Freddie Mac recently released the results of its Primary Mortgage Market Survey® (PMMS®), showing average fixed mortgage rates hitting new lows for the year as 10-year bond yields briefly dipped below 2 percent. 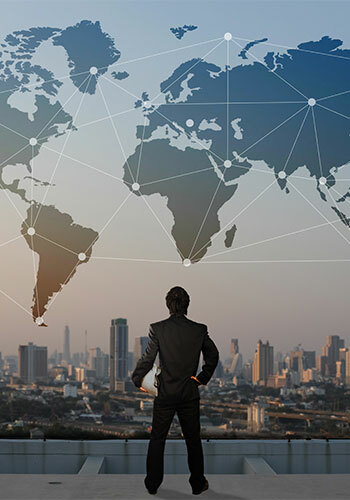 The International Homebuyer: Continued Interest in U.S.
Today’s consumers—your potential clients—are bombarded with sales messages and requests to like, follow, comment and click across the internet. People who resolve to eat healthy are sometimes more than a little dismayed at the high price of nutrition. Vitamins and supplements are not cheap, and a pre-made salad can cost more than a candy bar or a bag of chips. Smiths recent blog at sensationalcolor.com noted that the biggest mistake she sees homeowners making is using color to draw too much attention to their garage doors rather than downplaying them. Whether you plan to pack up and move your belongings on your own or hire a moving company to do all the heavy lifting, one thing’s for certain: moving isn’t cheap. How do you win more listings and convert more buyers? The housing market is subject to ebbs and flows on a seasonal basis and one of the slower seasons tends to be fall. As a real estate agent, you already know you have an important place within the community. Everyone likes a home that looks neat, clean and orderly—even when there’s just no time for a thorough going over. With forecasters predicting a more severe and dramatic storm season in 2014, home and business owners should be prepared for any type of weather. The home-buying and -selling process can sometimes be a precarious thing as most sellers need to sell their house before having the money to buy a new space. A recent TD bank survey reveals that just one in five homebuyers are familiar with affordable loan programs. Today’s homebuyers are hungry for information—and they expect to get that information with a few quick taps on their smartphones, tablets or laptops. The most recent NAR Profile of Home Buyers and Sellers revealed that 87 percent of buyers identified negotiation skills as an important quality for their real estate agents to possess. Homeowners should know that protecting their home from potential thieves and other criminals can be done with enough preparation and planning ahead of time. Safe pet remodeling may not be something you think about before the start of a new remodeling project, but if your dog gets out or your cat runs away–it can add a whole lot of stress to the job. Selling or staying, it makes no difference - everyone wants a home that looks great from the curb. When Do Homeowners Need a Permit? Home prices nationwide, including distressed sales, increased 7.5 percent in June 2014 compared to June 2013 and rose 1 percent over May, setting new highs for 12 states. The delinquency rate for mortgage loans on one-to-four-unit residential properties decreased to a seasonally adjusted rate of 6.04 percent of all loans outstanding at the end of the second quarter of 2014. Smart home apps link various home devices together to bring peace of mind, control and energy savings to homeowners. Unlike recent news that builders continue to face serious difficulties finding lots and labor to build new homes, a survey conducted by NAHB in July shows that shortages of key building materials have actually eased in 2014. Mortgage applications increased 1.6 percent from one week earlier, according to data from the Mortgage Bankers Association’s (MBA) Weekly Mortgage Applications Survey for the week ending August 1, 2014. New Kitchen Floor Choices: Is One Right for You? The kitchen floor, besides being practical, has become a major design statement—with a bigger choice of colors, styles and textures available today than ever before. Olympic gold medalist Greg Louganis has sold his home in Malibu that features a custom swimming pool with a diving platform for $1.8 million. If Your Tree Falls Onto Neighbor's Property, Are You Liable? If your tree falls onto a neighbors property, it might not make a sound, but you may be liable. Its the time of year to get outside, dine on the deck, bask in the backyard or relax on the patio. Ask the Expert: What are the Top Online Real Estate Marketing Tools? Todays “Ask the Expert” column features Vik Raghavan, CEO of GrayRoost. Now that summer is in full swing, and youve already had your Fourth of July fix, its time to pay attention to another important aspect of summer: your home. One of the smartest investments you can make when remodeling your kitchen is to replace outdated appliances. Summer months are a popular time for many families to take a vacation. If you plan on spending time away from your home this summer, remember to prepare it for your absence. What's The Buzz? Your Backyard Beehive, of Course! Whats The Buzz? Your Backyard Beehive, of Course! Q: What Are Some of the Legal Considerations Relative to Remodeling? Why Invest in Insulation during a Renovation? Q: What can I do to minimize chaos, danger and stress once a home improvement project has begun? Q: What Should I Consider when Redoing My Kitchen? 2013: Will Your Taxes Go Up? Are You Making the Most of Your Tax Benefits? What Should Home Sellers Do to Prepare for a Home Inspection? Perk Up Your Lawn With Lime! 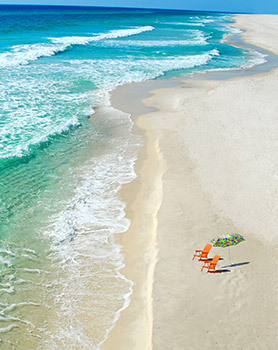 Need to Perk Up Your Lawn in Florida? Time for Lime! 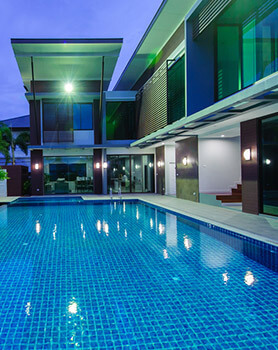 Looking for a Greener Way to Clean your Pool? Need to finance work on your home, let us tell you how! Mid-Year Outlook for 2013, Economic Growth Reaching "Normal"
No Need for a Backyard, Helpful Tips for Yardless Gardening. Q: Can Homes Be Sold for Less Than Their Mortgage? Can a Home in Florida Be Sold for Less Than Its Mortgage? Q: Best Time to Refinance? Q: What Are My Options If Faced with Foreclosure? Q: What Are My Options While Living in Florida If Faced with Foreclosure? What Happens When Florida Interest Rates Rise? Ask the Experts: What Style Should I Shoot My Video In? The housing market continues to show positive signs! This is a great time to build a home! Finally, Florida home inventories are going down. Increase Your Florida Home's Value by "Hardscaping"
Plant Some Flowers! It may help you sell your Florida home faster! Should You "Lock In" Your Florida Mortgage Rate? It's a Great Time to Buy Your Home! Is it good to buy a "fixer-upper" in Florida? Selling your Florida Home. What are you taking or leaving in the home? 15 or 30 Year Mortgage for Your Florida Home? Good News for the Florida Economy! Selling Your Florida Home: What is Silent Fraud? 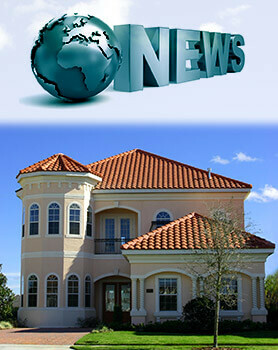 Florida Mortgage Rates are Still Falling! Is Your Home Near a Wildlife Refuge? It May Be Worth More!.. New All-Time Low for Florida Fixed Mortage Rates! Brevard Zoo Among the Top Ten Zoos of America! Sell Your Florida Home Faster! 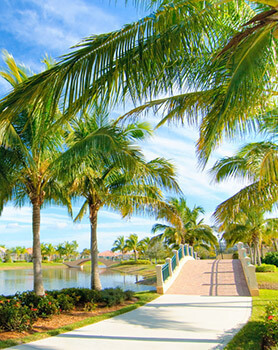 10 Things Worth Paying More For - A Nice Florida Neighborhood is Worth It. Thinking of Buying a Florida Home With a Friend? Read this..